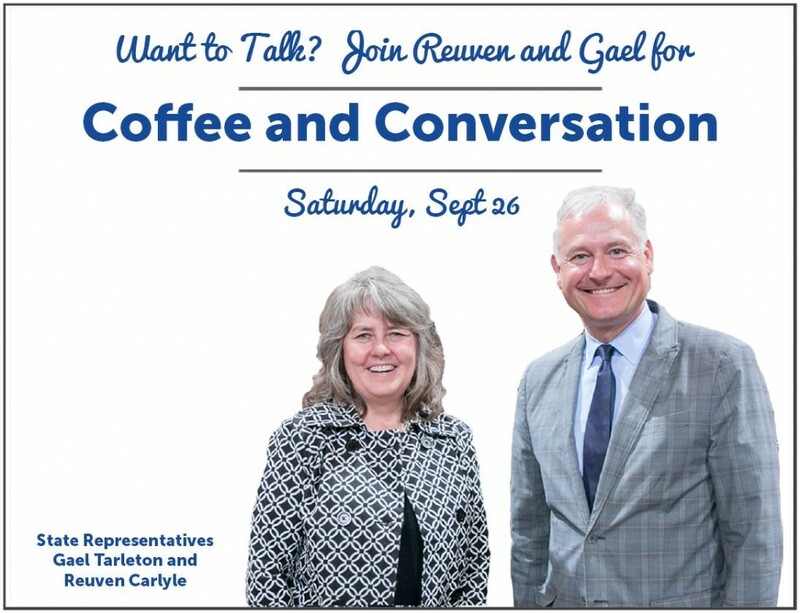 State Representatives Reuven Carlyle (D-Queen Anne) and Gael Tarleton (D-Ballard) will host “Coffee and Conversation” in four Seattle neighborhoods this Saturday. 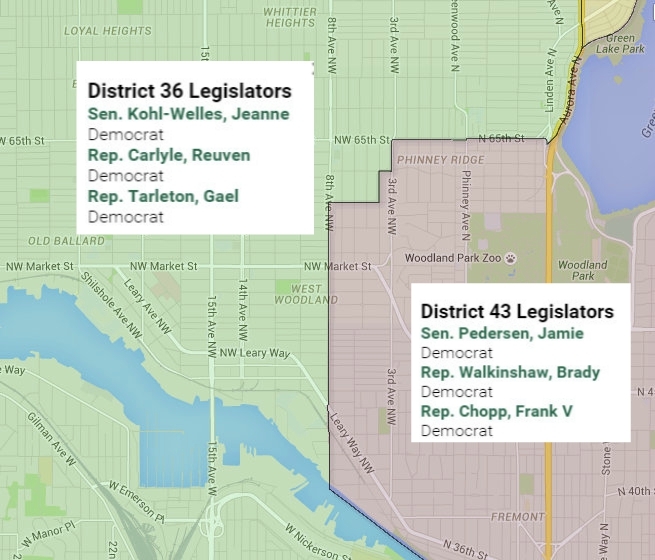 The northwest Seattle lawmakers would like to hear from residents of the 36th legislative district – Ballard, Queen Anne, Magnolia, Belltown, Fremont, Phinney Ridge, Greenwood, and Blue Ridge – about the issues they care about. The representatives will give a brief recap of the 2015 legislative session and highlight some of the challenges facing the state Legislature when it reconvenes in January. A large portion of the discussion will then be devoted to questions and comments from the participants. Ballard Sip & Ship in Ballard, 1 p.m. – 2:30 p.m., 1752 NW Market St.
Neptune Coffee in Greenwood, 3 p.m. – 4:30 p.m., 8415 Greenwood Ave N.
No RSVP necessary. Members of the community are welcome to join the discussion at any of the locations. Not sure which legislative district your belong to? We understand! The West Woodland Neighborhood in Ballard is split between TWO districts. To find which district you belong in visit, Washington State District Finder. Re-post courtesy Washington State Representative Reuven Carlye.